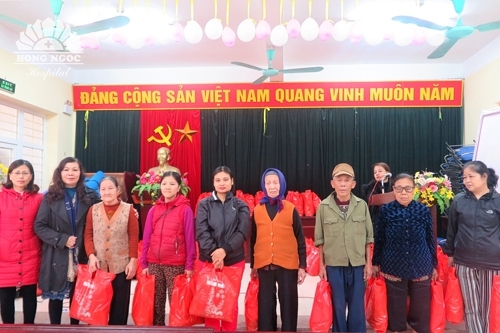 Giving gifts to the disadvantaged is as one of the meaningful charity series hosted by Hong Ngoc General Hospital when Tet is coming to town. With these small gifts, we hope that they would enjoy a Lunar new year with more joy and happiness. The first event is the program named The spring of Love and Sharing on January 16, 2019. 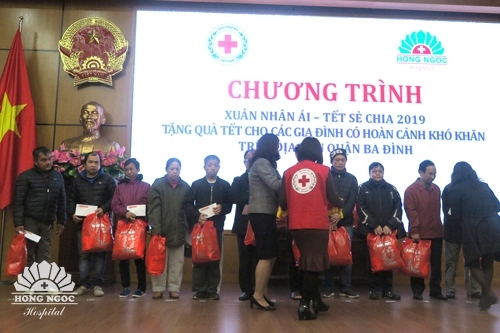 At the event, Hong Ngoc General Hospital and Vietnam Red Cross give gifts to disadvantaged families in Ba Dinh District. 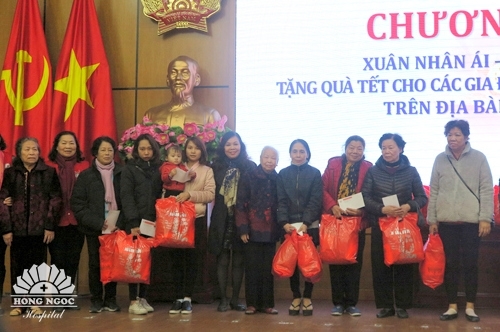 Representatives from disadvantaged families receiving the Tet gifts. 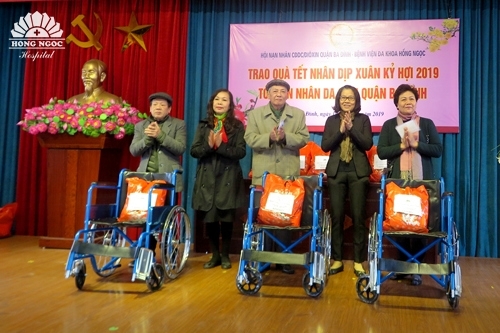 In the afternoon 19th January 2019, Dr. Hoang Tan Cuong – Deputy Director of Hong Ngoc General Hospital, sent great words of the hospital and 100 sets of gift to Agent Orange victims living in Ba Dinh District. 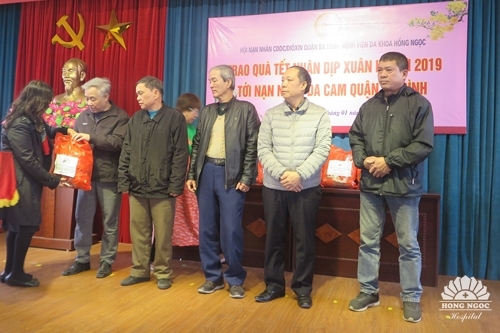 Within the event’s framework, the Association Of Victims Of Agent Orange also gave them small but special presents. 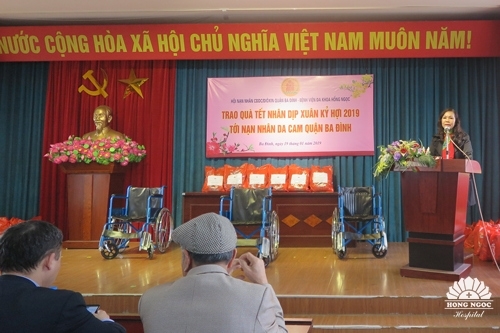 Dr. Hoang Tan Cuong – Hong Ngoc Hospital’s Deputy Director delivering her speech. We hope that these small gifts would bring more joy and happiness to them in the incoming year. 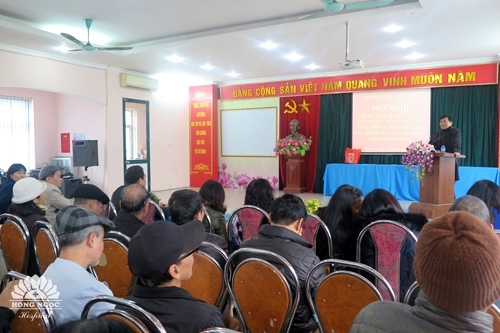 The next event was for poor families, near poor families, and children living in difficult circumstances in Truc Bach Ward, Ba Dinh District. 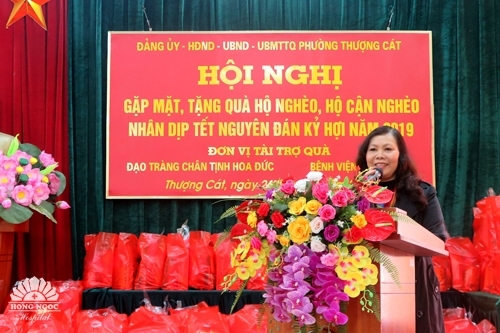 Dr. Tu Duc Sac – Hong Ngoc Hospital’s Deputy Director sending new year greetings and gifts to disadvantaged individuals and families. 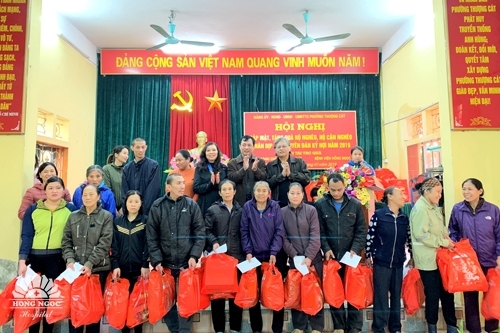 In two days 24th January and 26 January 2019, hundreds of gift sets, each worth VND 300,000, were donated to poor families living in Thuong Cat and Phu Do wards. 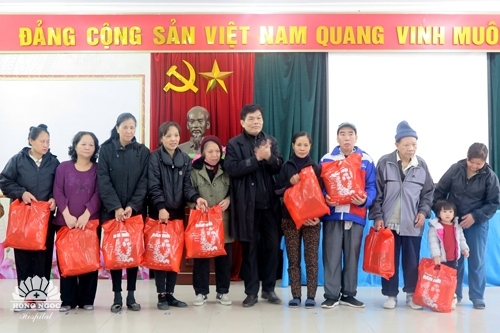 Dr. Hoang Tan Cuong gave gifts to the poor in Phu Do Ward.